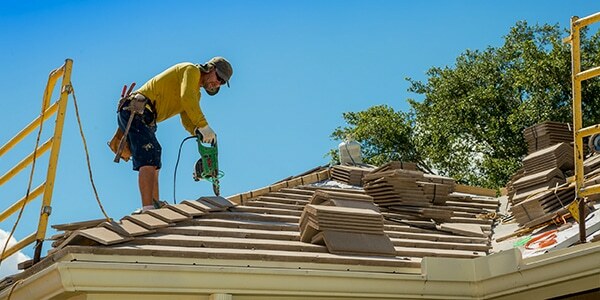 As your best roofing company in Florida, our contractors can repair, replace, and install any system or material you need. From traditional asphalt shingles to something more unique, we complete more jobs successfully throughout the South Florida community. Tornado Roofing offers more than 20 years of professional roofing experience, giving you the confidence you need to hire us. No matter how extensive the damage or your timetable, we remain the best choice each time. Other contractors excel at working on specific systems while lacking experience with different types. However, our team has the know-how to complete any job you have for us. When you need the best in complete roofing solutions, you won’t find a more qualified contractor group than ours. Call us today and begin your roof repair project with experienced professionals and affordable pricing. Whatever materials need our help, we guarantee longer lasting results you can trust for years. Contact us today for your best team of roofing contractors. 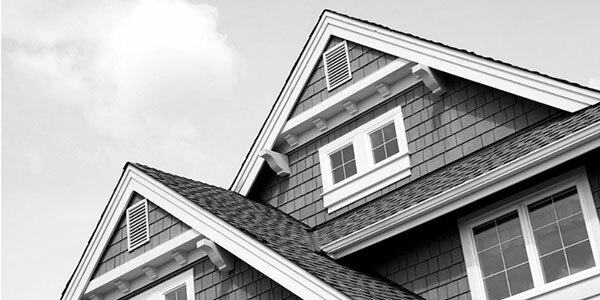 The typical home throughout the country still relies on asphalt shingles. Not only do they remain amongst the most straightforward to install, but they continue to be economical as well. Even when your roof loses a tile or forms water damage, these systems often get repairs quickly. 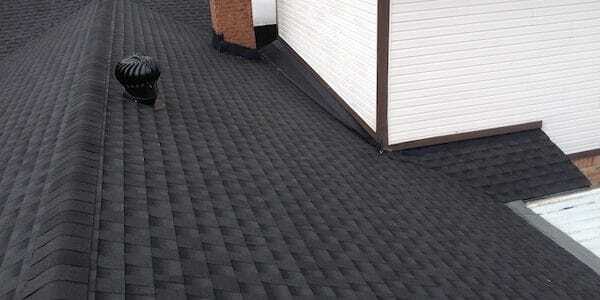 When you need a straightforward way to protect your property, asphalt shingles are the preferred choice. Flat roofing systems initially began as building materials applied to commercial buildings. Today, however, more area homeowners know that flatter systems remain waterproofed for longer. 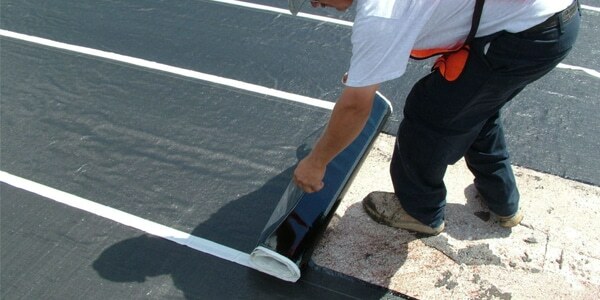 Flat roofing materials often rely on advanced elastomeric products that spread on as a liquid and dry into a plastic membrane. 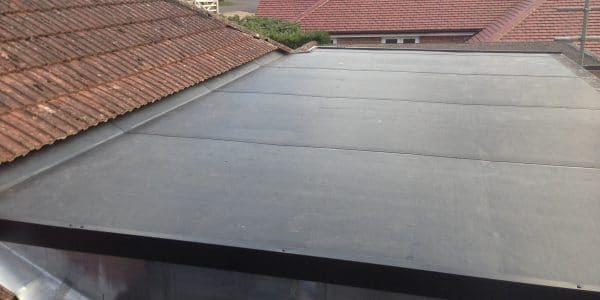 If you wish to know if your home could benefit from a new flat roof, call us for expert advice. 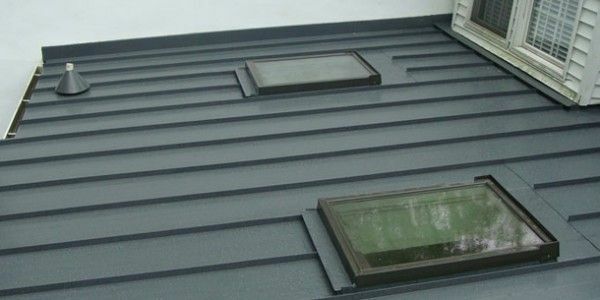 Slope roof systems refer to the steepness of the slant rather than the material. As an architectural design choice, you can enjoy these striking systems with a variety of different tiles. Whether you need an elegant way to enjoy asphalt or a unique roof, we can assist you with sloped systems. 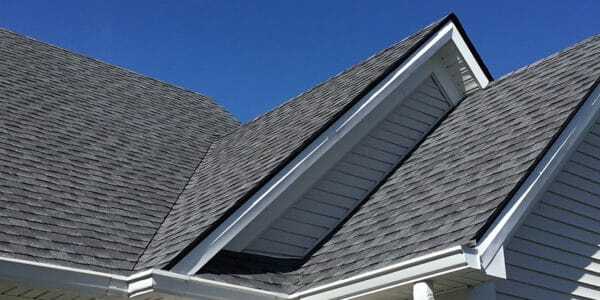 Contact us for our experienced team of contractors to complete your steep roof today. Different roofing systems have specific waterproofing requirements, but we know how to protect them all for less. From securing asphalt shingles with caulking to replacement flashing, elastomeric systems and more, you can count on us. A professionally waterproofed system will continue to perform for years, helping you avoid costly replacements and early issues. 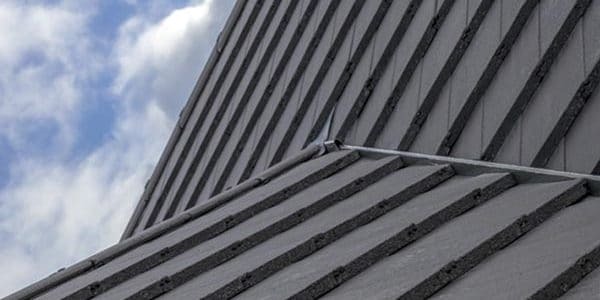 Contact us today and defend any roofline you have with a better range of maintenance services. 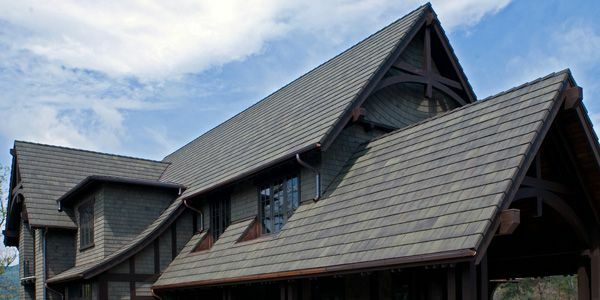 Homes relied on clay tiles before asphalt became popular, and they still look great on modern houses. Clay tile systems promote better water runoff, and they add a ton of value in the process. Whether you have an existing tile roof that needs our help, or you’re planning on upgrading, we can assist you. 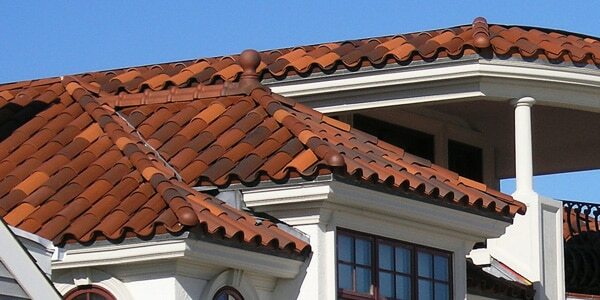 Choose roofer experts you can trust with your clay tiles today. Metal roofs have become one of the most environmentally conscious ways of protecting your home. These panels get created with a blend of recycled metals that produce a unique system that performs well daily. Although original metal roofs were bulky, expensive, and loud during rainstorms, newer materials stay lighter, quieter, and affordable. For a practical way of changing out your tiles, metal systems remain a top consideration for many homeowners. Ceramic tiles add lots of flair to any home, as well as provide lasting protection against salt air corrosion. These systems withstand heat, wind, and sun exposure well, and they require little maintenance on your end. Whether you’re worried about colors fading or need to reduce ambient noise levels indoors, many residents turn to ceramic systems. 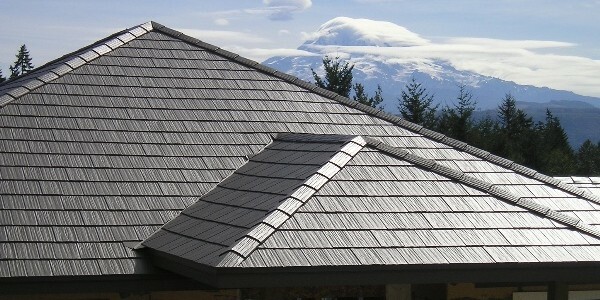 Contact us for your new roof system and save on quality repair and installation services. Concrete tile remains an economical roofing system that performs well under most climates, especially near the coast. These flatter tiles can mimic other materials, such as clay, and they can be painted with different finished colors. Best of all, concrete tile roofs rely on ridges that lock together to prevent more moisture from seeping inside. You can be sure your home will remain high and dry as you can enjoy a new concrete system for years. The single best way to set a roofing system up for success is to install it correctly during new construction. Otherwise, minor mistakes could soon lead to lasting structural concerns and expensive repair needs, or even a total replacement. When you need a quality roof that lasts from the first day, you can rely on our contractors. We can provide initial framing and finished roofing services for your new home, all at affordable rates. Some roofing systems, often asphalt shingles, remain sturdy enough that they qualify for a re-roof rather than a complete replacement. How it works is a secondary system gets built on top of the existing one, leading to a faster-completed project. Unfortunately, a home must remain capable of withstanding the added weight, and you often can only enjoy a re-roof once. For a better, more reliable way to maintain your existing roof systems, speak with our staff today. As a homeowner, you have lots to keep up with every month. When you discover roof issues or need an annual inspection, our contractors remain the best choice. With more than two decades of professional roofing experience, we are confident we can take on any job. No matter which repair and maintenance services you need the most, you can count on our team every day. 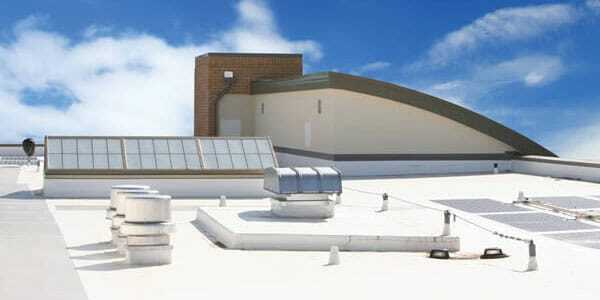 Commercials roofs require an expert team of dedicated contractors to keep weatherproofed every day. Most commercial systems utilize advanced elastomeric and polymer materials, making your search even more challenging. However, our team can complete your commercial roofs quickly and at lower costs than anyone else. When you can save more on quality, it only makes your hiring decision a straightforward one.